Evans was born in Wrexham in 1883 and began his career with his hometown club. A forward, he moved to Torquay to play for Ellacombe, one of the forerunners of Torquay United, and in 1908-09 was selected for the Welsh Amateur International trials. 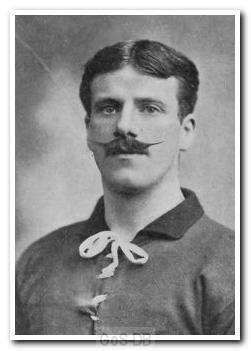 He made only occasional appearances for Argyle over a three-year period, the 1909-10 club handbook stating that he "plays for Ellacombe, but will assist Argyle when required". He continued to turn out for Ellacombe after ending his time at Home Park.